Ffishing maps and reports for Pyramid Lake California. large mouth and stripers fishing. 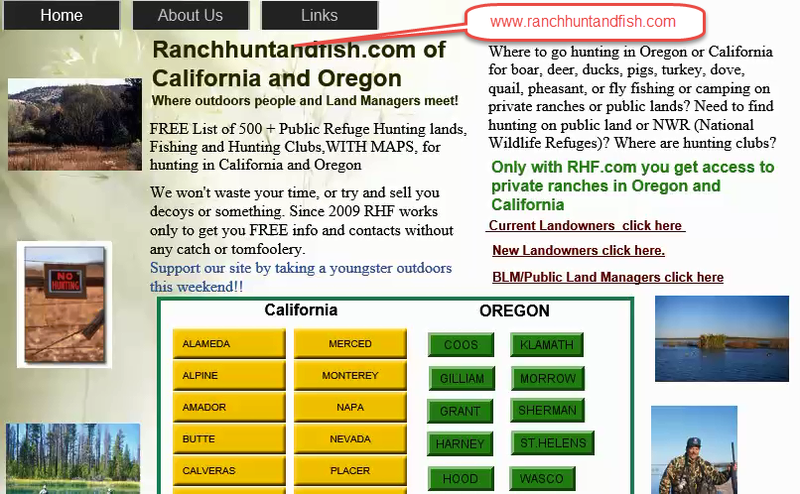 Information on hunting clubs, hunting ranches, private fishing and public lands in California and Oregon. You won’t have to drive too far from the big city to put the hurt on some quality ﬁsh. Pyramid Lake is just a hop, skip and a jump out of town, and has multiple species of gameﬁsh ready to bend rods. Not to be confused with that other ﬁshery over in Nevada, this Pyramid is right smack-dab between Bakersﬁeld and Los Angeles on I-5. This lake is where Southlanders can do that bassin’ thing for smallies and largemouth bass, chase trout til they’re blue in the face, pick off a catﬁsh or hang one of the big critters lurking in the depths — a striped bass. A BUNCH OF PHONIES: Check out Pyramid Lake on a weekend, and you‘ll ﬁnd a bunch of phonies working the lake. Not the anglers mind you, but the lures tossed at the smallmouth and large- mouth bass. It's the hard-core bass-types on the trail of their favorite ﬁsh, ﬂogging the waters with man-made products that emulate or grossly exaggerate the features and qualities of natural forage. Respectable ﬁsh will chow down on the artiﬁcials with the smallmouth hit- ting 3 to 5 pounds fairly regularly, large Gun and run for striped bass at Lake Pyramid * mouth nmning from 3 to 7 pounds for good catch- es. Lunkers of the large- mouth persuasion over 12 pounds have been weighed-in. Bait ﬁshers will hammer a few of the bass too, but to score big, plan on faking it. PYRAMID LAKE IS PLANTED with decent rainbows, and the better ones are about the size of this four pounder. 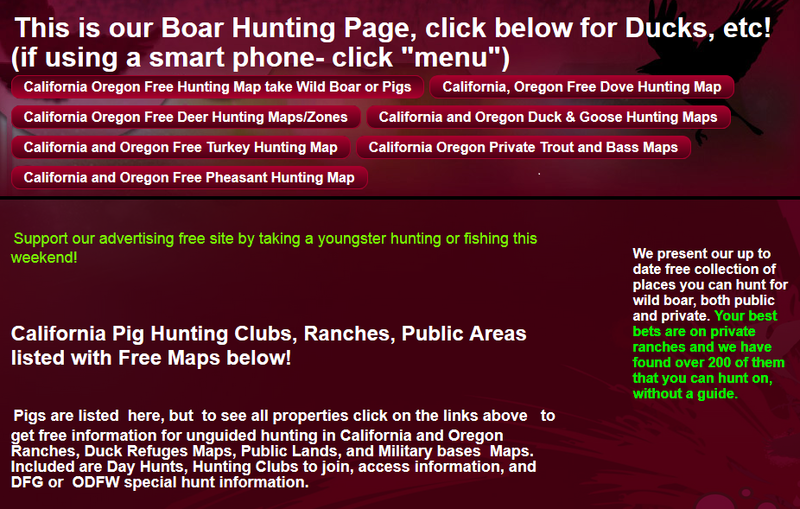 From shore, youll ﬁnd the best bow ﬁshing near Emi- grant this month. lt’ll be easy to make the ﬁsh mad and generate aggressive strikes. Go with topwater early in the morning, a shallow running crank once the stm is good and up, then rig for plastic grubs and worn-is as the sun moves higher in the sky. BIG WHITE BUOYS: Since they’re in the water, landmark may not be the proper term, but consider the big white buoys in the middle of the lake beacons to one of the better striped bass locations on the lake. According to the Pyramid Bait Shop (661-257-2892), the bouys, the dam and the deep water channels are the top contenders on the linesider hon- ey-hole list. Snipers from Pyramid aren't going to threaten any state records for the ﬁsh, but ﬁve-pounders are the norm here, and they ﬁght like freshwater tuna. Bass in husky sizes patrol the lake too. Eight- to 12-pounders show every year, and maybe you’ll be the one to whip the lake record and top 18 pounds. The big bass aren’t letting their pres- ence be felt much lately. But with nicer weather on the upcoming agenda, these guys will shake off Winter’s lethargy and leap to the forefront of the ﬁshing scene. Expect to see this powerful ﬁsh boiling schools of trout at the surface, and plan on taking advantage of the sit- uation. RUN 8: GUN: Ambushing the stripers during a boil isn’t really possible, but stealing the game plan from the U.S. Amiy’s Rapid Deployment Force and putting it to use on the water is. When the bass kickoff their boil season, they don’t spend more than a couple of min- utes frothing the water while they slash at the surrounded trout. Your time is lim- ited. You must get to the objective quickly, and launch your attack immediately. A sound strategy includes having your gear ready, motor running, and eyes open for erupting water. On the of spying the ﬁrst sign of a boil, slap the throttles down, run to within SO feet or so, and ﬁre topwater lures into the fra- cas. Rip Excel Specials, Zara Spooks and such with energy, and stand by for hammer-blow strikes. BRIBERY: When gun & run tactics fail to give you satisfaction, bribe the stripers with bait. At Pyramid, most of these ﬁsh fall victim to an artfully pre-pared anchovy, but sardines, mackerel, and the trusty nightcrawler will also work. Sweeten the pot for the big ﬁsh by adding bait scents for more powerful attracting smells. SUCKER PUNCH: The catﬁsh take baits too, but add clams and poultry livers to your on-board or shoreline pantry. 10-,12- and even 15-pound ﬁsh can ﬁll up a ﬁsh-box pretty quickly. Look to the coves and bays for good action. Should you ﬁnd a delineation between muddy and clear water near a creek inlet, drop your gear just outside the murk. Catﬁsh will hang in locales like this, and pounce on forage appearing from the cloudy water. MORE THAN A MEAL: You might catch a pan-sized trout at Pyramid Lake, but it’s likely you’ll hook-up with rain- bows between 1 and 3 pounds. Trout at this lake are more than a meal, with a stocking program that doesn’t include small fry. At the same time, a ﬁsh with a double—digit weight from here deserves red-letter head- lines, but a four-pounder is a pos- sibility. Anglers on the bank haul \more trout than anyone else at Pyramid, and as expected, Power Bait plays the starring role. Best supporting role goes to God‘s all-purpose bait, the nightcrawler, but trouters may need to think about alternatives for when the ﬁsh decide they need a break from the steady diet of putty and worms presented to them day after day. A NOVEL APPROACH can put trout on the stringer when the bite is slow, try concoctions of your own manufacture, or go with some time-proven but almost forgotten baits. The Sierra Sundae — a salmon egg and marshmallow — isn’t seen too often these days, and the old cheese-and-tuna-ball combo has almost faded from memory. Modiﬁcations to popular baits will help on a slow day. Molasses and maple syrup add a unique ﬂare, and a garlic sauce on the bait will not only entice the trout, but will keep the vampires at bay as well. AT A GIANCE Location: Pyramid Lake is located right off I-5 three miles south of the town of Gorman, in the Los Angeles National Forest. Size: The lake has 1,297 surface acres and 21 miles of shoreline. Pyramid sits at 2,606 feet in elevation. Species: Rainbow trout, channel catﬁsh, panﬁsh, largemouth and striped bass. Facilities: Located at or near the lake are campsites for tents and RV’s on a ﬁrst-come, ﬁrst-served basis. There are also group camping sites for up to 30 people by reservation. The lake has a launch ramp, full service marina with docks, gas, and boat rentals, swimming beaches, picnicking, boat-in picnic sites, snack bar and tackle store, and a designated off- road vehicle area. Contact: Pyramid Lake Bait Shop (661) 257-2892.